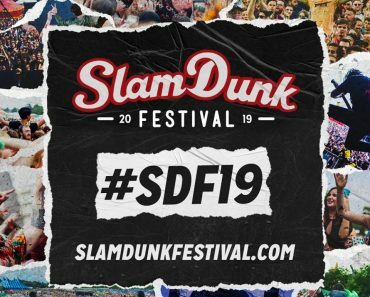 Hot off the last mind-blowing announcement, Slam Dunk Festival are showing no signs in slowing down, revealing another 10 names for the UK’s favourite alternative all-dayer. Making their debut Slam Dunk Festival performance this year, Plain White T’s are set to make an appearance at Leeds and Hatfield over the bank holiday weekend. Armed with an undeniably successful selection of indie-rock anthems, the American quintet saw astronomical acclaim with quadruple platinum hit ‘Hey There Delilah’ and the guitar-driven, ‘Our Time Now’. The band return to UK shores with latest album, the energetic Parallel Universe. After bursting onto the alternative scene with the release of their critically acclaimed debut album, Zombies! Aliens! Vampires! Dinosaurs, which featured sweeping indie-synth-pop delights such as ‘Here (In Your Arms)’ and ‘Baby It’s Fact’, Hellogoodbye became a mainstay of US indie-rock. Three anthemic albums later, Forrest Kleine and the gang are set to return to Slam Dunk Festival bringing their newly-developed sultry pop rock for a highly-anticipated performance, decorated with both new hits and emo classics. 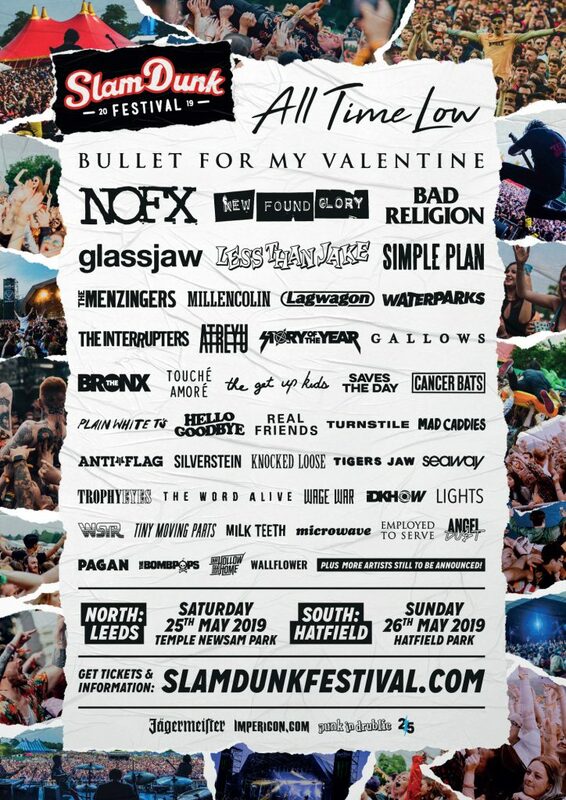 Continuing the heavy, Employed To Serve and Our Hollow Our Home will represent the very best in the UK metal at Slam Dunk Festival, set for a brutal face-melting display across the weekender.